New to showman William Wilson of Peckham, London, the engine travelled with Rodes Switchback, until mid 1930's. It was then sold to amusement contractors Walls of Petersfield, Hants where and ended Showland life with them in 1955. Purchased for preservation in 1965 by Mr Edward Hire of Shaftesbury, who rebuilt it from a very poor state. 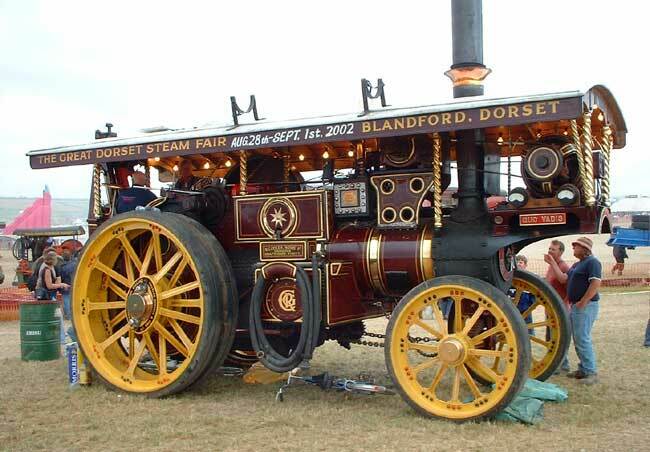 This engine was the advertising symbol of the Dorset Club, and travelled many miles throughout the country putting the Dorset Steam Fair on the map.